These ageing resistant, U-style envelope enclosures have especially been developed for archiving photographs, microfiches, glass plates and film negatives. 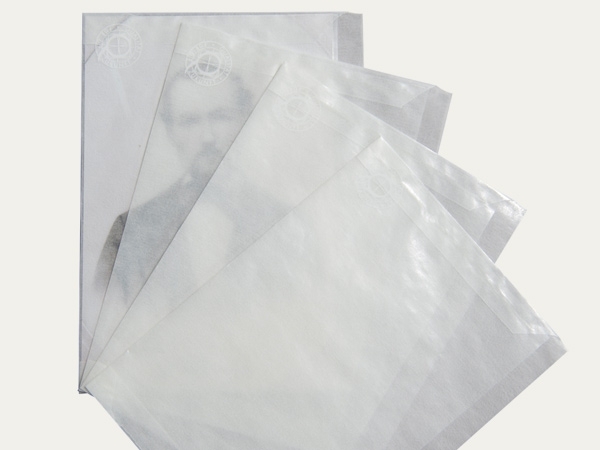 The envelopes are available with or without an alkaline buffer, in natural white or white coloured photographic archival paper. The envelope opening is on the longer side. 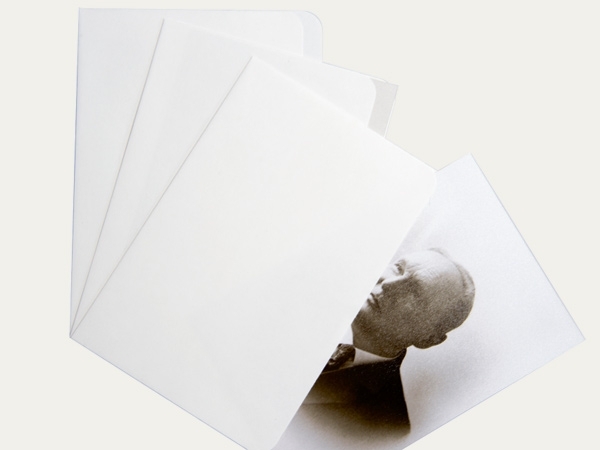 Unbuffered, folder enclosures made from opaque photographic archival paper. The enclosure is open on three sides and has a 10 mm longer back flap for inscription purposes. These enclosures are ideally suitable for the archival storage of prints, negatives, glass plates etc. 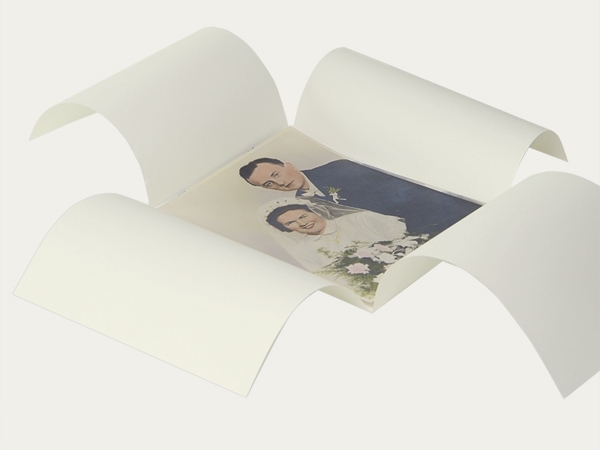 Seamless, four flap folder enclosures folded from a single sheet of unbuffered, opaque photographic archival paper. 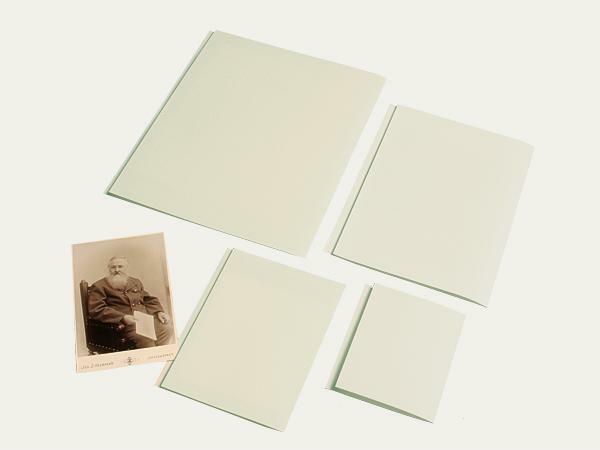 These folder enclosures are suitable for archiving glass plates, valuable photographs and negatives.